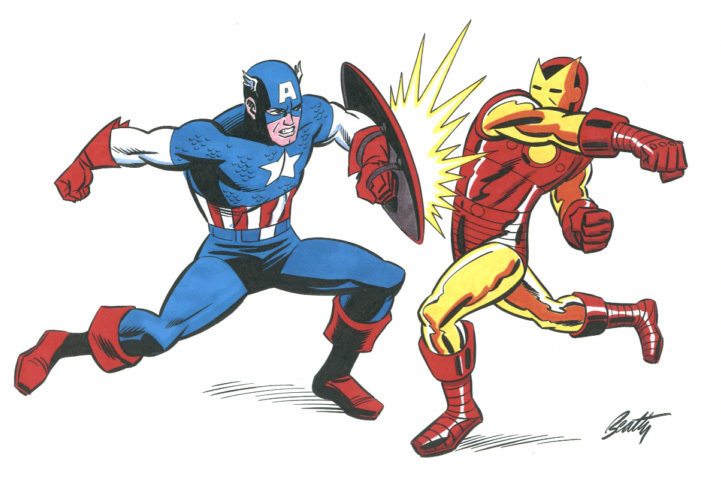 Spencer Ackerman’s adjudication of the dispute between Captain America and Iron Man is some of the most relevant punditry you’ll read today. And, incidentally, I agree with Spencer entirely: Iron Man was unequivocally right in the argument over superhero registration. I’m not even sure what the case for the other side is, and the libertarians I’ve asked haven’t been able to come up with one. If the state has any legitimate function at all, it’s to train and regulate people who could accidentally kill everyone in a hundred-mile radius. Not having read the comics I am not in the best position to judge this, but Ackerman and Klein have not convinced me that Iron Man is right. My first problem from reading this and more of the discussion is that it appears we are dealing with far more than just a situation analogous to regulating weapons with the potential of killing everyone in a hundred-mile radius. It sounds like they are discussing mandatory government training of superheroes and making them work for the state. I cannot support this any more than I supported conscription during the Viet Nam war or would have supported slavery in pre-Civil War America. Holding superheroes responsible for their actions and preventing them from exercising uncontrolled violence is one thing. Making them slaves of the state is another. The other extreme would be those who are so superior to the average human that they really could kill everyone for miles around. In this case I would think that such beings would laugh at humans who said “our government has a monopoly on the use of force and you must serve us.” I just do not believe that many of them would acknowledge the right of government to control what they could do naturally. The result would most likely be to convert super beings who might be kind enough to leave us alone into super villains. I’ve given in and quickly set up a Twitter account. I still have to look into all the widgets to use it along with Facebook and/or the blog, as well as figure out if there is any value to using it. At the moment having six followers doesn’t make it very useful, but I imagine the number will grow. Any suggestions for using Twitter? Click here to see the Twitter feed.